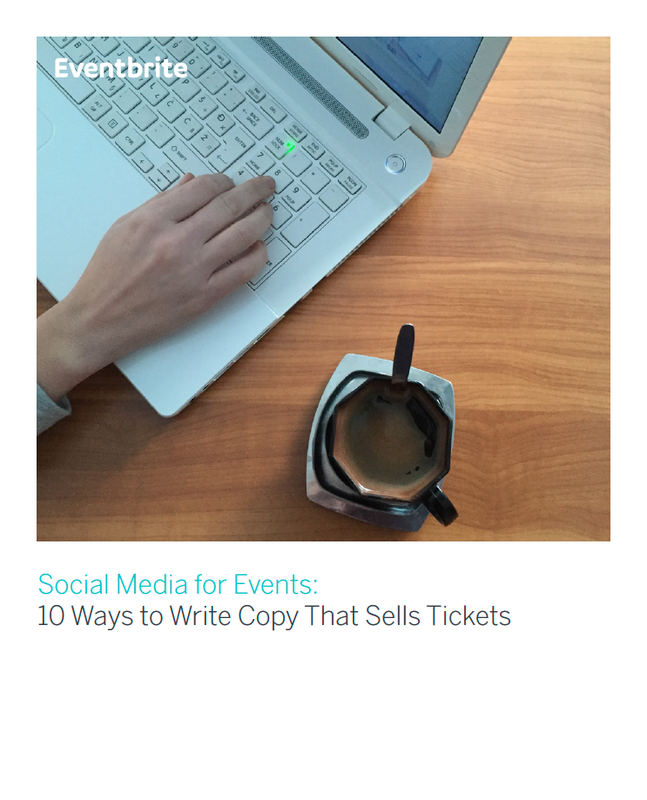 Learn how to write social media copy that sells with these 10 expert tips from Eventbrite's senior social media manager, Christy Huggins. When it comes to marketing your event, there are few tools as powerful as social media. But how do you make your event stand out on people’s feeds? After all, not only are you competing against other posts — you have very few characters to make a compelling case. That’s why it’s important to choose your words wisely. 1. Keep it short and simple! Studies show shorter tweets generally have higher engagement. On Facebook and Instagram, try to keep the text short enough that readers don’t have to expand the post to read your whole message. Pro tip: On Instagram, keep your caption short, and then put all your hashtags as the first comment. 2. Hook readers right away People have short attention spans, and they’re likely skimming through busy feeds. Catch their attention with your first few words. 3. Use pronouns Words like “We,” “Ours,” “You,” and “Yours” can make your posts feel more personal and targeted. Hashtags are great for spreading the word about your event — and collecting content from attendees after it’s all said and done. You can even use hashtags during your event to engage sponsors or start a conversation between guests and speakers. Unique. #SocialMediaConference might be relevant and descriptive, but it’s not unique, so chances are people will be using it for conferences other than yours. Short. The shorter the hashtag, the easier it is for people to remember and use it. #CollisionConf for tech event Collision conference: The lengthy word “conference” has been shortened to “conf.” The result is a catchier, shorter hashtag! #LIBfestival for the Lightning in a Bottle festival: This is a good example of shortening a long event name (instead of using #lightninginabottlefestival). #BottleRock for the BottleRock music, food, wine, and beer festival: A great example of keeping your hashtag short and sweet. #BottleRock is unique enough that it doesn’t need additional words like “napa” or “festival” in a hashtag.